The second round review rates Germany as overall largely compliant with the international standard. 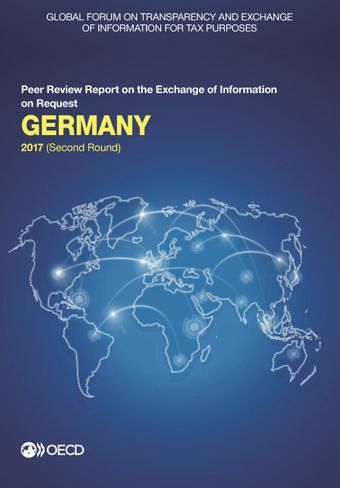 Germany continues to be a very active country in the field of exchange of information, receiving approximately 4 000 requests and sending approximately 4 500 others during the new review period. Germany made important progress in restricting the issuance of bearer shares by legal entities incorporated as of 31 December 2015; however, stock corporations and partnerships limited by shares incorporated before that date are still allowed to issue bearer shares and Germany should ensure that information on the owners of such shares is available. In respect of the availability of beneficial ownership information, a recommendation is included for Germany to ensure that such information is available for all relevant entities and arrangements, in particular the ones which do not have a relationship with an AML obligated person. The report also recommends that Germany maintain records of its oversight and enforcement efforts to support the legal obligations for the maintenance of legal and beneficial ownership information. Germany has made significant progress in responding to exchange of information requests in a timely manner; however, some of Germany’s partners still pointed to delays and difficulties in communication. The report recommends Germany to examine how it could speed up processes, systematically provide status updates and improve the communication with its partners.